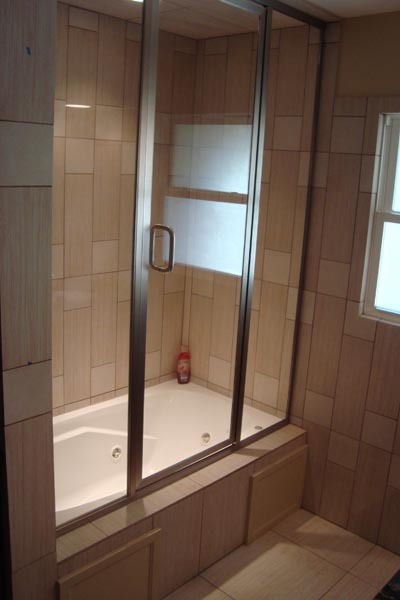 Ken and Mary had an unfinished basement that they were sick of looking at. They wanted to turn it in to a space they could use everyday. We framed it up, added a wet bar, a space for an office, a small bathroom and a huge entertaining area. Ken added his massive TV and Mary added her furniture and interior design. Nice team work! 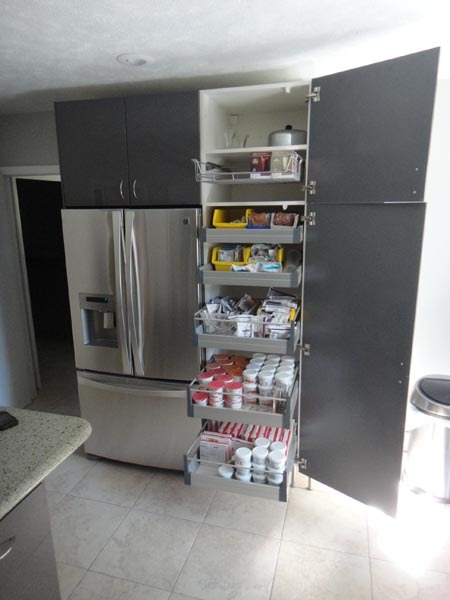 This family needed a retreat instead of a storage room. They wanted a place were friends and family could gather and enjoy time together. 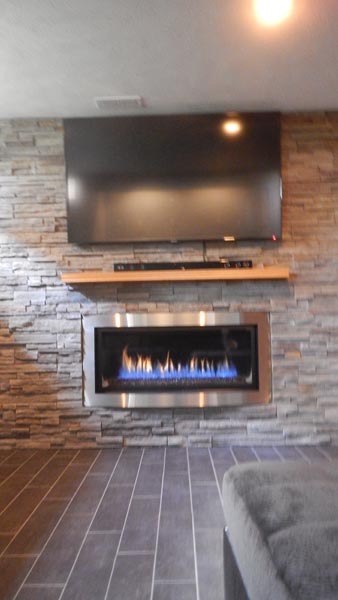 They found the perfect stone and gas fireplace and picked out a great tile. We added radiant heating and put everything together. They now have the perfect get-away! Stephen and Diane are a couple we met at the Home and Garden Show in Lincoln last year. We had a wonderful time creating a contemporary, sleek, kitchen for them to entertain and enjoy. We took their dreams of white painted cabinets, stainless steel back splash, under cabinet lighting, and beautiful marble counter tops and turned them into reality. 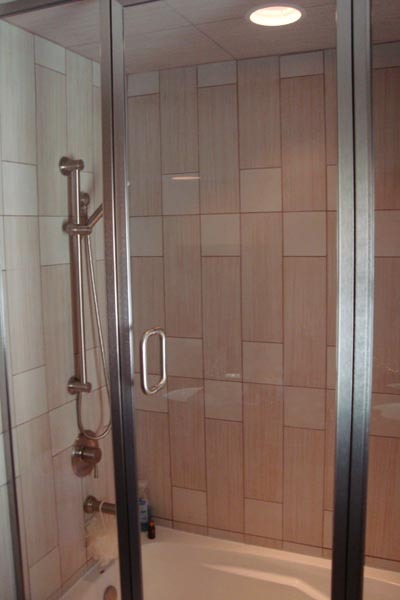 We added the warm tile radiant heating and updated their cabinet hardware to the soft close that everyone loves. Diane and Stephens kitchen turned out as beautifully as they designed and imagined. 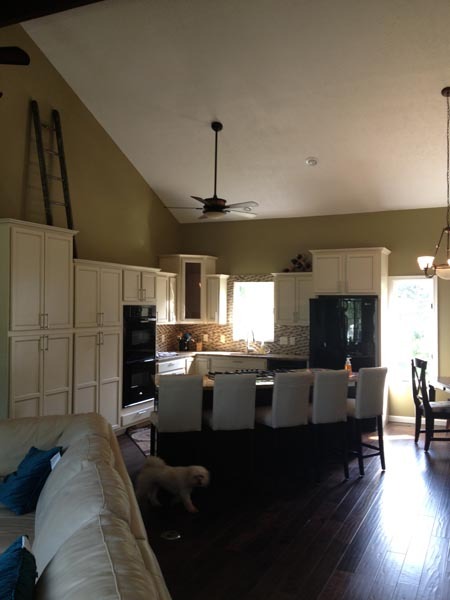 What a perfect match, this couple and their kitchen….thanks Diane and Stephen! We also completed a sun room make-over during this project, check it out in the additions tab! The signature 'hidden snowman' is in this pic. 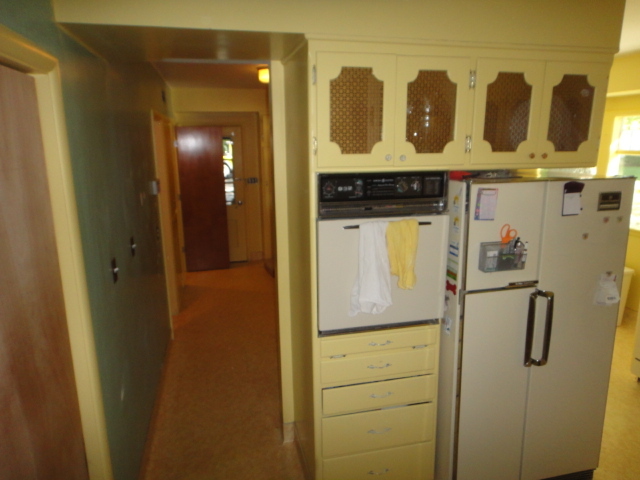 Cabinets with pullouts and soft-close hardware. This was another project we had the pleasure of creating with Jason and Rochelle. 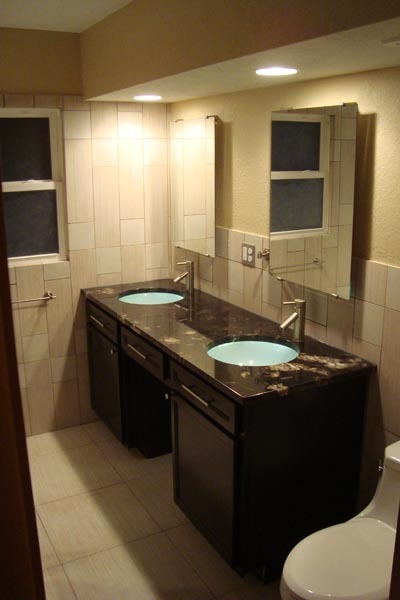 We completely gutted their existing kitchen, updated the plumbing, added radiant tile for warm floors, and gave the walls a fresh coat of paint. We then assembled IKEA cabinets with soft close hardware and under cabinet lighting. We also had a custom counter top fabricated out of recycled glass bottles installed. The colors in the counter top were greens, greys, and whites, Jay found the perfect backsplash tile to coordinate with the counter tops. 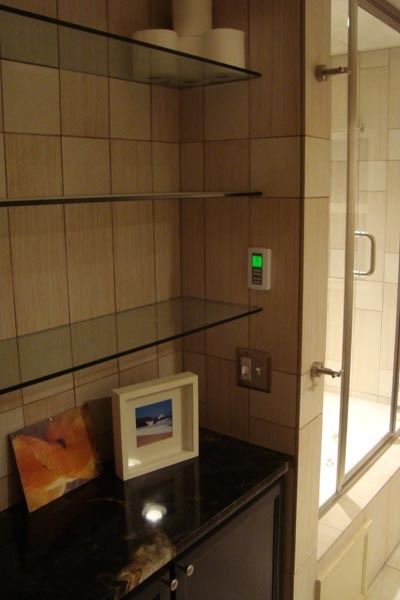 The tile really brought the whole project together, thanks again Jason and Rochelle! 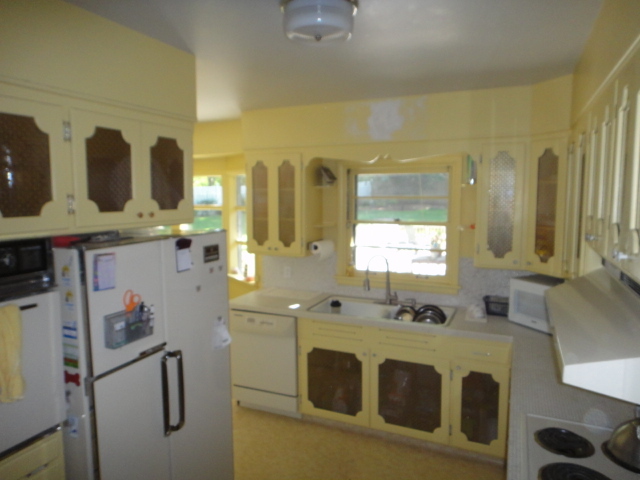 This kitchen needed a quick face lift. 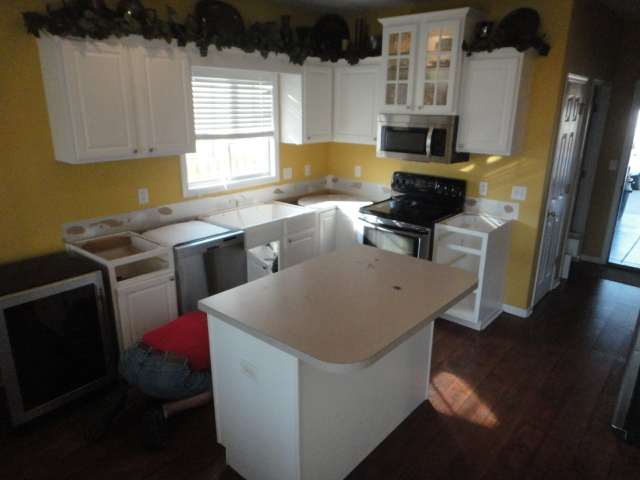 We left the layout and cabinets the same but added under cabinet lighting, a light in the display case, new Uba-Tuba granite, an under mount sink, tile back splash, and a custom wood butcher block on the island. It’s amazing what little you can do to a space to make it glow! All moved in - Great job decorating Kelly and Joel! A couple of years ago we had the pleasure of meeting Kelly and Joel at the Home and Garden Show in Lincoln, NE. 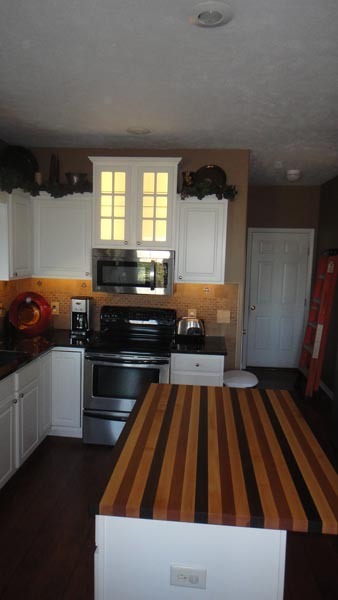 We were able to meet with them and help them create the kitchen of their dreams. 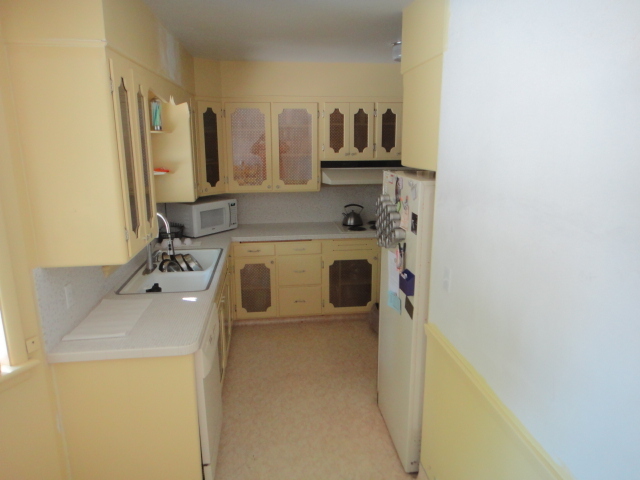 They had a very awkward kitchen with an out-of-place partition wall and small working space. We listened to what they envisioned and then made it happen. 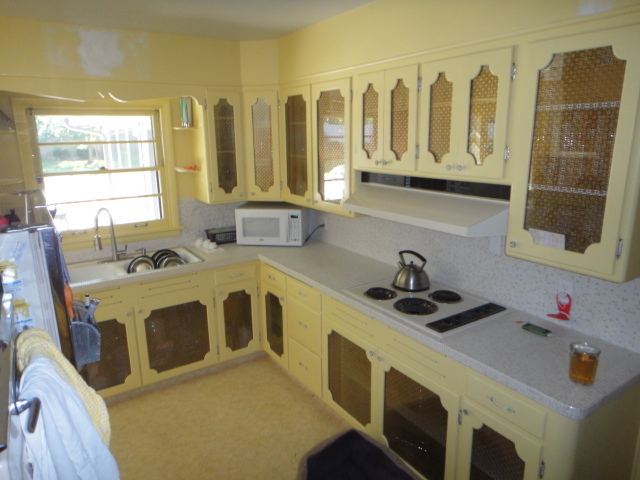 We gutted the entire kitchen, added painted, antiqued cabinets with soft close hardware and large pullouts perfect for Kellys height. 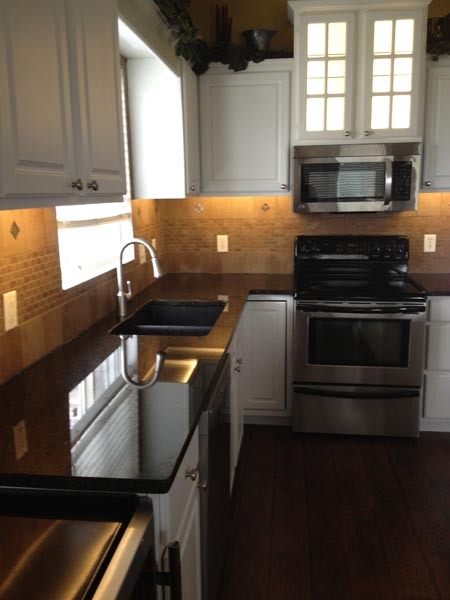 The whole things was completed with new appliances, beautiful granite counter tops, a custom island with gas stove in the middle, and hardwood floor. Needless to say, they LOVED it! Thanks Kelly, Joel and family for being so fun to work with! This bar came to Frosty in a dream…one of his friends told him he wanted the coolest Husker Bar around. One night Frosty had a dream of a glowing Husker N with lights that had a waving effect. He drew up the plans, got the go ahead, and created one of the coolest Husker Bars in the state. 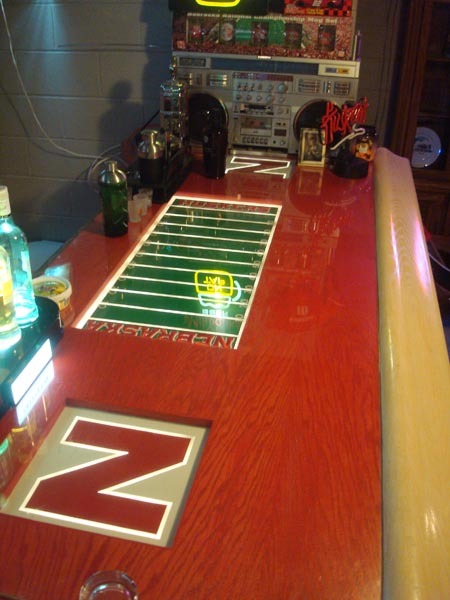 With stainless steal and a glass overlay of a painted football field, the bar had everything his friend wanted and more. The best part about the whole bar was the way ‘Frostys’ Glow’ made the whole thing come to life. To this day, it is still one of the most eye catching ‘light’ projects he has created. 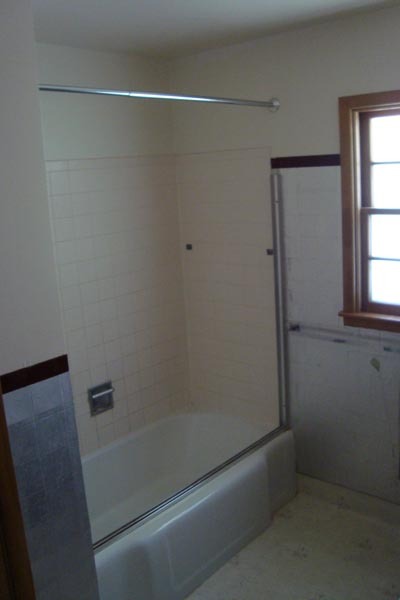 This couple wanted an updated custom shower with all the bells and whistles. We walked thru all their dreams with them and came up with this amazing retreat. 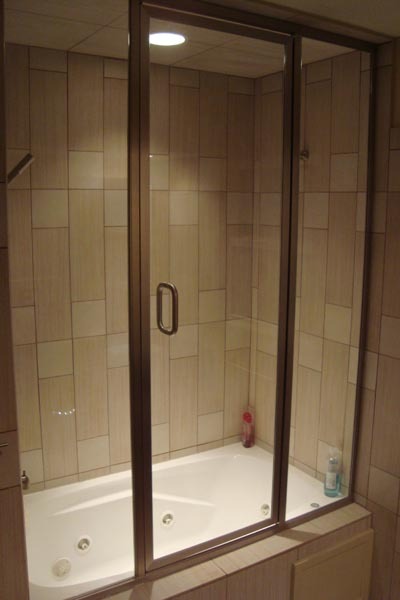 Included is radiant flooring which warms the tiles so you never have cold feet and a fully enclosed steam shower with an extra deep air tub. 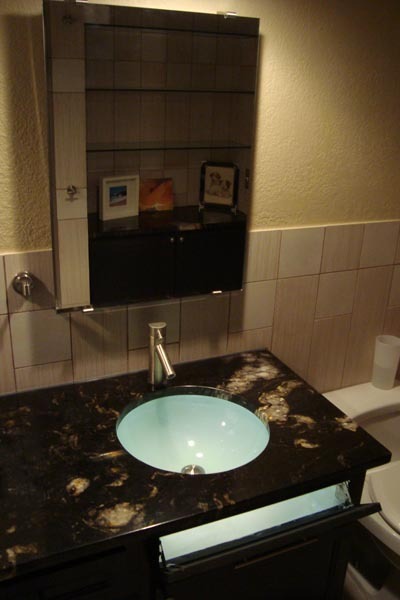 We also added glowing sinks as a ‘night light’ which was a hit with all of their company. 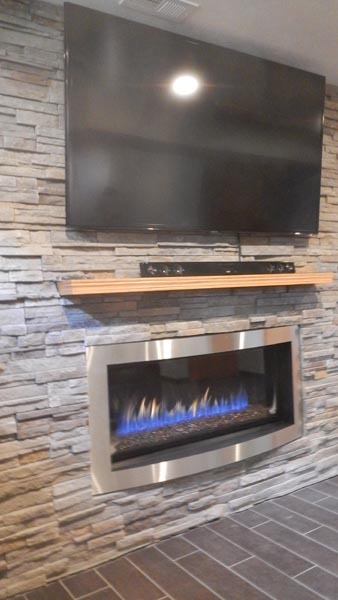 The custom cabinet was topped with a beautiful piece of granite from Tatanka Stone and also had pull-outs in the bottom for easy access. 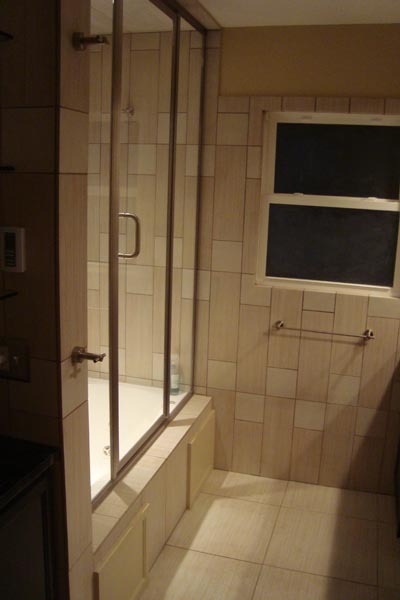 Special attention was even given to the layout of the tile which was placed at a vertical direction to create depth in the small space. Firepit lit up - We love light! This deck is just what its name says….a monster deck. This massive idea was the dream of Mike who wanted the best deck around. We created the plans and made it happen with bulked up pillars that served as tables, a separate area for a fire pit, benches for seating all around, a place to relax upstairs and a secluded hot tub area. The coolest part of the whole project was the addition of the ‘Frosty Glow’ that could be seen from blocks away. 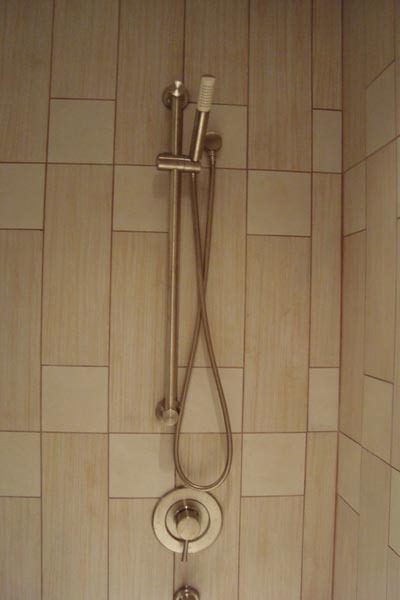 This addition was added for Rebecca. She wanted a new space to entertain and an update to her house. We added vaulted ceilings to make the space appear larger and a wall of windows for a bright look. 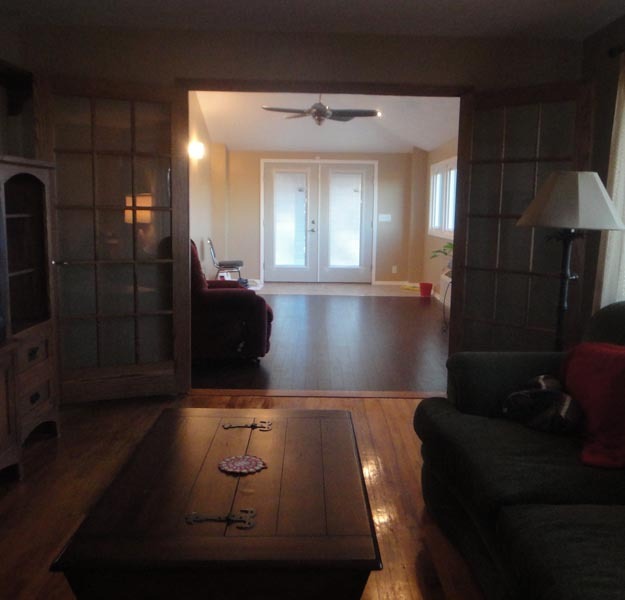 We also included new wood floors, a PTAC heating and cooling unit, and beautiful french doors to her front and existing entry.